Under Construction. 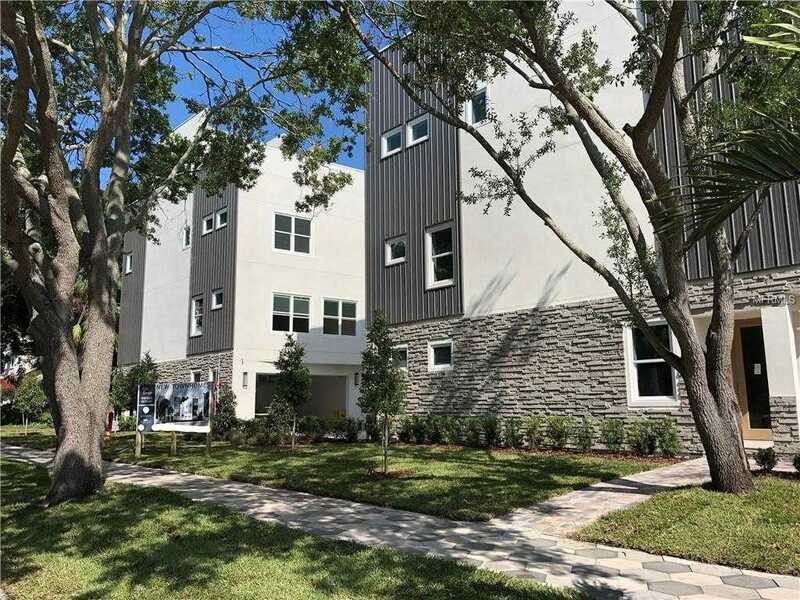 Welcome to 5th Avenue, St. Pete’s newest luxury town homes located in the hub of downtown St. Pete and just steps away from some of the the trendiest shops, delectable restaurants & popular nightlife that Beach Drive has to offer. On the weekend, take a stroll down Bayshore Dr. to St. Pete’s Saturday Morning Market. This location is the place to be as it is ranked #1 in FL and #15 in the nation for parks, and ranked one of the top biking cities in the nation. Built with quality construction and on-trend modern finishes, this 3-story town home is guaranteed to impress. The layout features one bedroom/office with full bath on the first floor, on the second floor you will find the spacious open floor plan for your dining and entertaining needs. This kitchen is all that you can imagine with a walk-in pantry, breakfast bar with unique pendant lighting, solid wood cabinetry, stainless steel appliances, and gorgeous stone counter tops accented by a tiled back splash. Just off of the pristine kitchen is the dining room, great room, and a half bath. The master suite and guest bedroom are found on the 3rd floor, both with personal en-suite bathrooms. The most impressive feature yet you will find as you continue to the 4th floor to the private rooftop terrace with impressive views of Downtown St. Pete and the historical Vinoy Hotel. Plenty of storage throughout the home, as well as in the oversized 2-car garage. Make this your new home, this new year! Expected Completion in SPRING 2019. Restrictions: No aggressive or vicious breeds (pit bull, rottweiler, doberman, or chow) shall be permitted on the Property. Buyer to verify all pet restrictions directly with the association. Please, send me more information on this property: MLS# T3167529 – $829,000 – 119 5th Ave N, St Petersburg, FL 33701. I would like to schedule a showing appointment for this property: MLS# T3167529 – $829,000 – 119 5th Ave N, St Petersburg, FL 33701.